Carl Fredrik Marti joined the Oslo office of Colliers in 2000. As Head of Logistics he is responsible for the Industrial & Logistics Team in Norway, and has relationships with both national and international logistics companies. Carl Fredrik is a certificated broker working with transactions and landlord representation. With more than 20 years of experience, he has provided successful brokerage services to many well-known companies over the past several years, and has extensive knowledge of the logistics real estate market. Carl Fredrik has provided successful brokerage services to many well known companies over the past several years, and has extensive knowledge of the logistics real estate market. 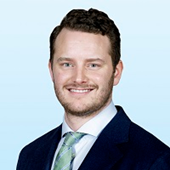 Tobias Voraa joined Colliers in 2018 as a Real Estate Advisor leasing industrial & logistics properties. His area of expertise is within Leasing and primarily industrial & logistics advisory. He mainly focuses on adding value to landlords with vacancies or industrial land for development in delivering new tenants.